What is limiting the large carnivore migration? Photomonitoring confirmed the first recorded case of a large carnivore travelling between two West Carpathian mountain ranges, Silesian Beskydy in the north-east and Moravian-Silesian Beskydy to the south-west. Experts from Friends of the Earth Czech Republic identified the lynx captured on a camera trap by his unique pattern of spots. An adult male, first photographed on the 3rd September, was named Bronislav. It is one of the four lynx recorded in the Silesian Beskydy, a mountain range straddling the Czech-Polish border, in the last year. None of the animals stayed in the area for long. The last known lynx inhabitant so far is the female named Marysia, who returned to the wild after she had been found exhausted on the outskirts of a village and rescued by Polish conservationists . Preserving the landscape connectivity between different mountain ranges is the key to maintaining a viable lynx, wolf and bear populations in Beskydy. Unfortunately, the situation in the Jablunkov depression remains critical. In the region experiencing frenetic development, the government failed to uphold its commitments to species protection undertaken in the Government Resolution in 2006. In addition to the material support for the car manufacturer Hyundai amounting to CZK 2.4 billion, the Czech government agreed at the time to the construction of a functional wildlife crossing over the Jablunkov depression and the road I/11, as a compensation measure for increased traffic and landscape fragmentation caused by the new car plant. More than ten years later, a Czech-Slovak expert group met for the first time in 2017 to discuss the most effective design of ecoducts to be built on both Czech and Slovak side of the Beskydy Mountains. The resolution provides for two ecoducts; one near the custom house in Mosty u Jablunkova (Czech Republic), the other one in Svrčinovec (Slovakia) . The project plan for the Jablunkov ecoduct was submitted for approval to the Central Committee of the Ministry of Transport in October 2018. The proposed width of the green bridge is 47 metres; providing all technical conditions and additional requirements (noise barriers, greenery, guiding fencing) are met, the structure should enable safe crossing of large mammals in this section of the Jablunkov pass. According to the schedule, the documentation is expected to be finalized and approved in 2019 and 2020; the construction itself should be completed by October 2022. As part of the international project Transgreen  supported by the Interreg Danube programme, biologists have identified several critical points in the Beskydy Protected Landscape Area and its surroundings, where the risk of a car collision with large carnivore is highest. Among the outputs of the project is a catalogue with proposals for appropriate measures to improve the landscape permeability at these high-risk points. To ensure the survival of large carnivore populations around the Czech-Slovak-Polish border, maintaining the permeability in the Jablunkov depression is of crucial importance, as is the protection of remaining three functional wildlife corridors along the Kysuce valley in Slovakia. 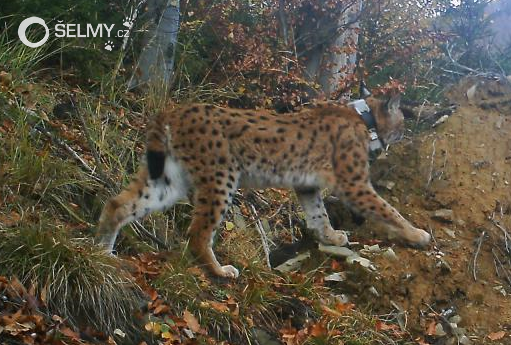 The connectivity of large carnivore habitats in these areas was confirmed in previous years when the camera traps showed three different lynx crossing the valley from the Kysuce Highlands to the Javorníky Mountains. 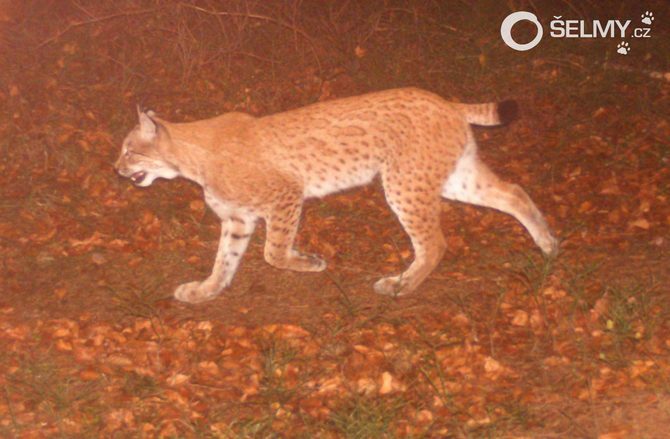 A new study showed a high level of crossbreeding in the Beskydy and Javorníky Mountains which threatens the viability of small lynx population . "When analysing the camera trap data, we look at the spot patterns to identify individual lynx. It came as a great surprise to me to discover that the lynx photographed in September in the Silesian Beskydy appeared just one month later near Malý Polom in the Moravian-Silesian Beskydy. It must have crossed the Jablunkov depression which means it had to overcome obstacles including a very busy road and railway tracks. That is a truly admirable achievement; such a journey would have been very risky." "This is very positive news for the Beskydy lynx population, especially when we consider the high number of lynx killed by cars, trains, or by poachers. However, we need to protect all cross-border migration corridors in the Jablunkov Pass and if possible improve their functionality. The pressure for intensive landscape use and development is enormous." "We can only guess what path the lynx took from the Silesian to Moravian-Silesian Beskydy. In any case, it must have been a challenging journey and, given the intensity of traffic on the road I/11, the animal was very lucky to have survived. More accurate localization of migration routes could be achieved by the use of telemetry, as in the case of lynx Kryštof in the Moravian Karst. It gives us a better idea which places in the landscape are vital for the movement of large carnivores as well as other large mammals and should, therefore, be protected. The project TRANSGREEN (DTP1-187-3.1-TRANSGREEN) is co-funded by the European Union through the Interreg Danube Transnational Programme (DTP), Priority 3 - Better connected and energy responsible Danube region, Specific objective - Support environmentally-friendly and safe transport systems and balanced accessibility of urban and rural areas..